The annual Food Truck Rodeo will host 2 events this year, the first on Saturday, May 20th from 11am to 11pm, and a second event in September. Benson will be home to the events, and will feature between 15 and 20 trucks, beer garden, outdoor bars, and music. Infusion Brewing will host a Food Truck Extravaganza on May 27 from 12pm-7pm. The event will feature 11 food trucks, live music, and Infusion beer. Activities will include a blow-up sumo wrestling station, ring toss [prizes are bottles of Infusion] and more. Games are cash only, and proceeds will benefit the Food Bank of the Heartland and Team Blake, Fighting Against Leukemia. Taste of Bellevue will host a food truck fundraising event on June 1 from 5-9pm. The goal of this event is to transform Taste of Bellevue into a Non-Profit group, allowing it to do more for the Bellevue Community. Face painting, a photo booth, clown, model cars, and a DJ will all be on hand for this family friendly event. Come by for a day of food trucks, fun, family, and fundraising! 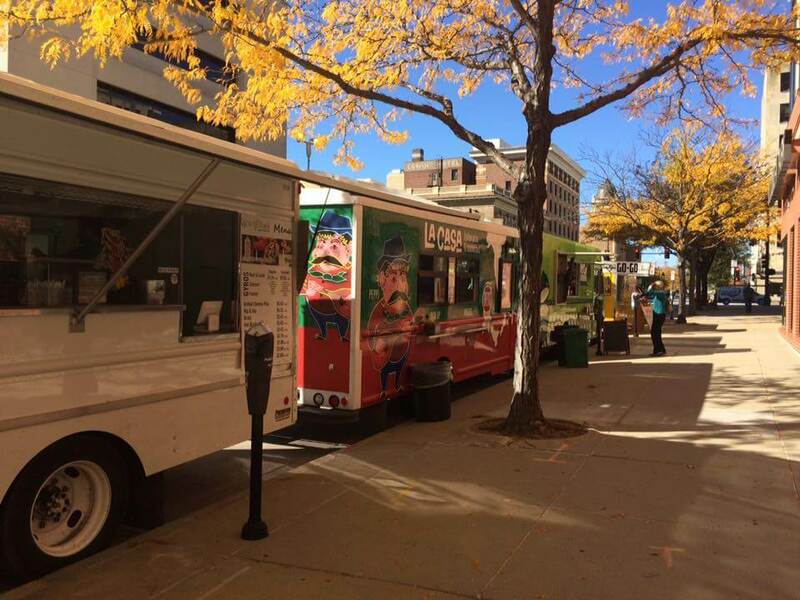 To stay on top of Food Truck events follow The Omaha Food Truck Association on Facebook! Tag @TheReaderOmahaDish on Instagram to share your favorite Food Truck photos!